This exclusive condominium resort offers the ultimate in privacy and pampering with an emphasis on personalized service. Each luxuriously appointed suite includes contemporary island-style furnishings, a full gourmet kitchen, washer and dryer and a private lanai with sweeping ocean views. 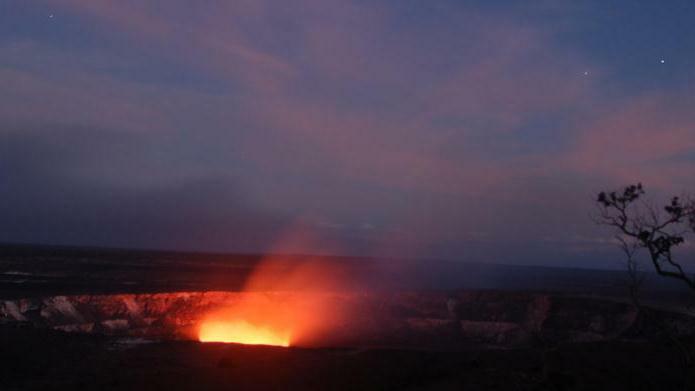 Our naturalist guide provides the perfect introduction to Volcanoes National Park! You've never experienced Oahu like this. On Hawaii's most dynamic island, Four Seasons welcomes you to an exclusive five-star beach resort, combining thrilling adventure with authentic Hawaiian tradition. Discover your "place of joy" - the true meaning of Ko Olina. The ASTON Waikoloa Colony Villas opened in January 2003 in an upscale gated community in the world-famous Waikoloa Resort. The resort is located on the 15th fairway of the spectacular beach golf course and offers stunning views of Mauna Kea, lava fields, and swaying palm trees. Golfers will enjoy preferential rates and tee times. After the game, guests can unwind in our swimming pool and jet spa. Complimentary tennis and our fitness center are available for a non-golf workout. Nearby shopping and dining are available at the Kings Shops. Escape to Outrigger Reef Waikiki Beach Resort and dive deep into timeless Hawaiian culture. Local music legends perform nightly at Kani Ka Pila Grille. Renew your vows Hawaiian style right on Waikiki Beach. Savor a sunset with artisan tastings and local craft beer at the Voyager 47 Club Lounge.